Improved Avios Online Award Search! A few months ago I wrote about BA’s improved Avios online award search interface, which let you see results for all classes of service. 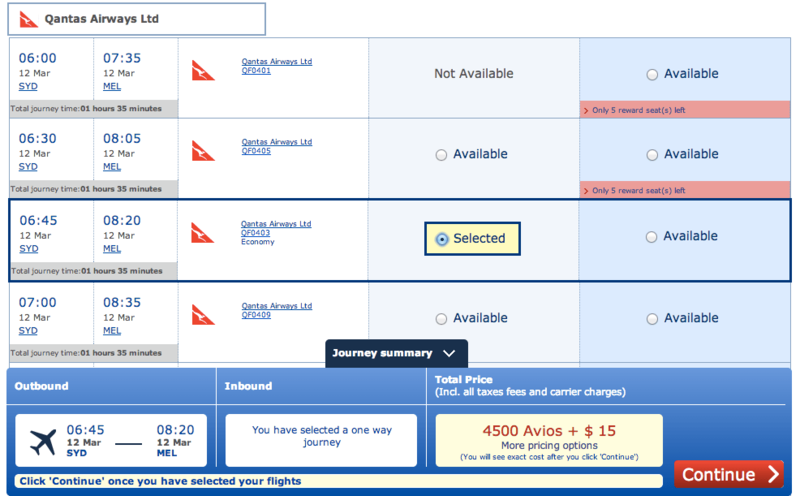 Just a reminder that avios online award search on ba.com does show all award space for oneworld carriers, except when searching Air Berlin, Qantas, American, or British Airways award space as I find that using aa.com is easier and can show you a whole month of space at once. But for other oneworld award space such as Qatar and Cathay Pacific, it should be a go-to tool for people that don’t have paid services like Expertflyer and KVS Tool. 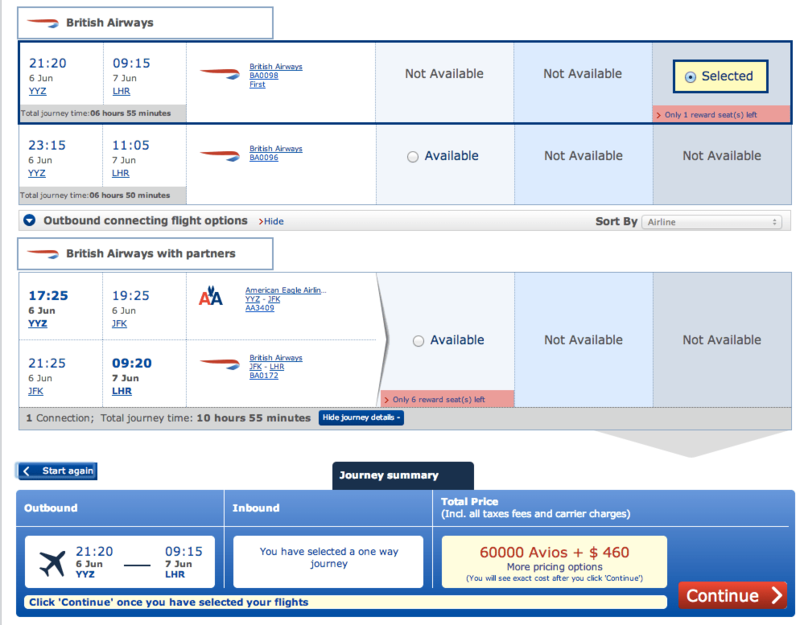 As ba.com continues to improve it’s online search it’ll make more easy than ever to search space online, which is really helpful when you’re trying to book an award ticket. Nice! Now that they have improved the Household account, it’s even better. Avios is looking better each day. I would rate them higher than UA after the devaluation. Many thanks for the heads up. Have you ever noticed that although it shows, for example, Quantas or Qatar award space, when trying to book it online, it says that there is some sort of issue and cant be done? I’ve seen that with Qatar. But usually I use BA to search and book with AA, so it’s never been an issue for me. why would you care about the breakdown? Is there a way to get rid of a YQ on an award ticket? 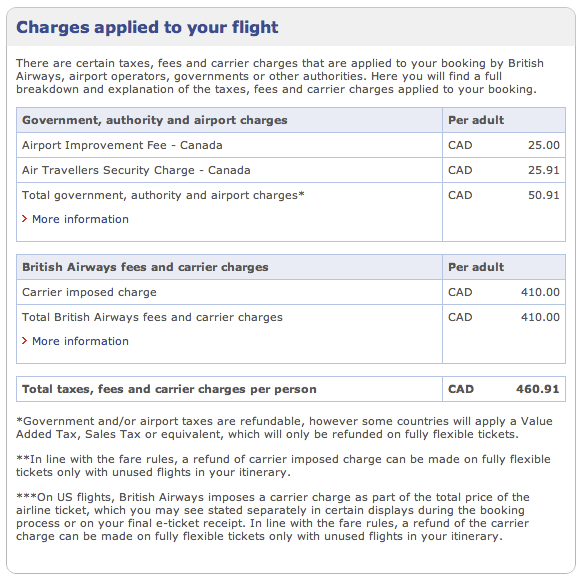 It’s helpful in cases where for example airport taxes ex-lhr is $200+. Whenever I see a post related to Avios I always ask myself if it’s worth converting my RBC Rewards points to Avios considering there’s a 50% bonus promo on conversions now. I find that RBC Reward points are great for southern Canada/US travel if you’re looking for something relatively last minute and at high season (like Xmas), but I tend to not use them for much else other than that. Do you have any thoughts on this, Jeff? I’m particularly interested in flying LAN for flights in South America, American to get out of Canada/USA and maybe BA/Iberia in Europe. I rarely fly oneworld so I am not entirely familiar with their airlines, loyalty programs. If you currently have AMEX MR, no. This is because AMEX can also convert to Avios and roughly every year they run a 50% promotion once. Unless you have no avios and need them, I’d recommend transferring to American AAdvantage (which recently had a 20% transfer promotion). This is because they have no fuel surcharges and generally have a better award chart and don’t price by segment. So my rule of thumb, is that avios is better for short-haul direct flights, some direct flights to south America, Air Berlin and Aer Lingus flights to Europe, and British Airways flights if you have the companion voucher and want to use it. That means if you’re based in Canada, in most cases you should use AA because in most cases you’ll need a short positioning flight to LAX or MIA or JFK which are the LAN gateways, and that will be more costly with Avios since you are pricing it per segment. Otherwise you should transfer to AA. Hope this helps! I noticed this too the other day when I was searching for short hauls in Asia. It’s awesome, especially if you want to make a change to your search. A little window just pops up, instead of having to go back to the start page.